Unreal Engine 4.22 comes with major features and updates submitted by the Unreal Engine GitHub community. Looking for the newest version of Unreal Engine to create some seriously sick games and other forms of media? Unreal Engine 4.22 is available now, as announced via the official Unreal Engine blog. This particular release includes 174 improvements submitted by a variety of tons of Unreal Engine developers via GitHub, each listed and thanked on the announcement blog. Major new features include real-time ray tracing and path tracing, which is currently in Early Access, using the Windows 10 RS5 update that "takes full advantage of" the DirectX 12 and DirectX Raytracing (DXR) that's available via NVIDIA RTX series cards. Ray tracing features include a series of ray tracing shaders and effects that help creators achieve natural lighting effects for shadows, reflections, and other uses. This release includes soft ambient occlusion, physically correct refraction, indirect lighting, soft area shadowing, and accurate reflections. The Path Tracer feature includes full global illumination paths for indirect lighting. There's also the High-Level Rendering Refactor, C++ Iteration Time Improvements, Virtual Production Pipeline Improvements, HoloLens Remote Streaming Support, Audio System Improvements, Sequencer Improvements, a new Animation Budgeting System, support for long filenames, blueprint indexing optimizations, improved Steamworks support, and a variety of other additions to the new build of Unreal Engine. 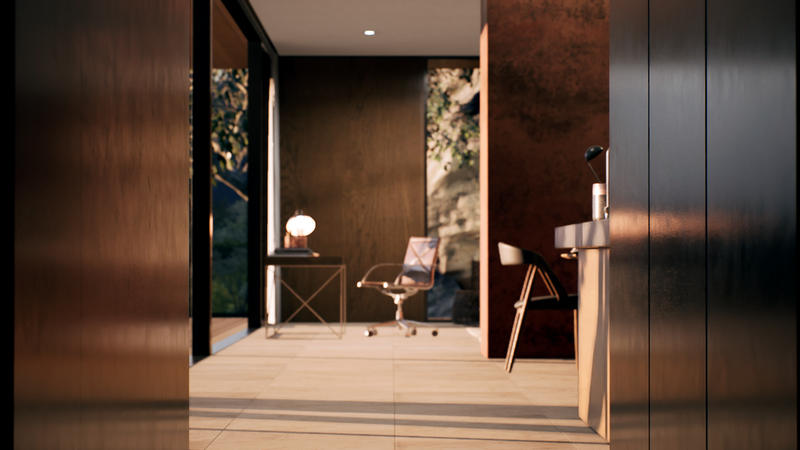 "Unreal Engine 4.22 continues to push the boundaries of photorealism in real-time environments whether you are making immersive and engaging games, broadcasting live television, visualizing groundbreaking products, or creating the next blockbuster film. We don't believe significant advances in technology should result in increases in development time for you to take advantage of them, so we have once again set our sights on making workflows for users from all disciplines even faster and more accessible," says Unreal of the new improvements. For more itemized details on the changes, check out the official blog post.